Remember my trip to Salish Lodge & Spa? I left with more than lovely memories, I left with honey! Real, true, amazing honey from Salish’s bees. There is nothing better than local honey. It has immense health benefits and is delicious to boot and so, I add honey to lots and lots of things. I learned about goat cheese and honey from this awesome mama. She visited us this summer and we picnicked with our littles and she brought a bevy of treats. One being goat cheese, honey and crackers. Oh yum! It’s sounds weird. But, really … it’s perfect. And if feels very French. 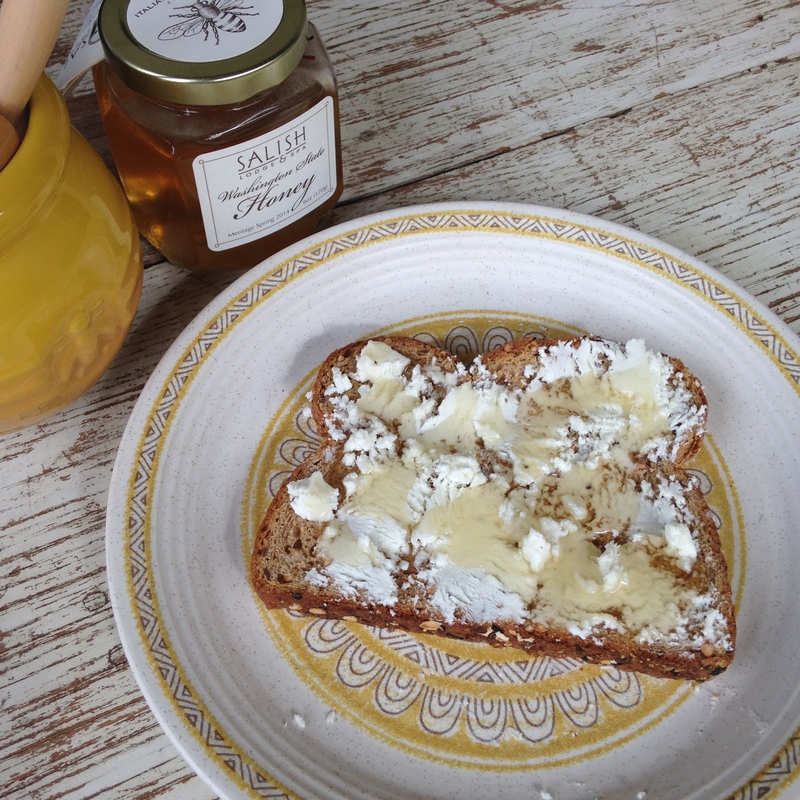 What are your favorite goat cheese or honey recipes? I’d love to learn how to incorporate more of each into our weekly recipes! honey and goats cheese is such a great combination!